Only 10% deposit required to start your treatment. Dental implants are the most popular way to replace missing teeth. They are the most natural and comfortable, providing significant benefits for a patient’s self confidence and quality of life. 1. Dental implants are the next best things to your healthy, natural teeth. Strong and stable, a dental implant restores a lost tooth so that it looks, feels, fits and functions like a natural tooth. Other options such as dentures or bridges can lead to bone deterioration and may interfere with eating, smiling and speaking. 2. Dental implants allow you to enjoy life without worrying about your teeth. There is no need for you to stay at home or feel uncomfortable in public, embarrassed because your smile looks different or worry that your missing teeth will limit your ability to join in the fun. You also don’t need to worry like you would with removable dentures or tooth supported replacement teeth which could loosen or fall out when you talk, eat or laugh. At Capalaba Park Dental, we are reasonable with our cost and have different financial options available. As no two implant cases are alike, patients will require a consultation with our team for the full price of their treatment. Book in for your consultation now. 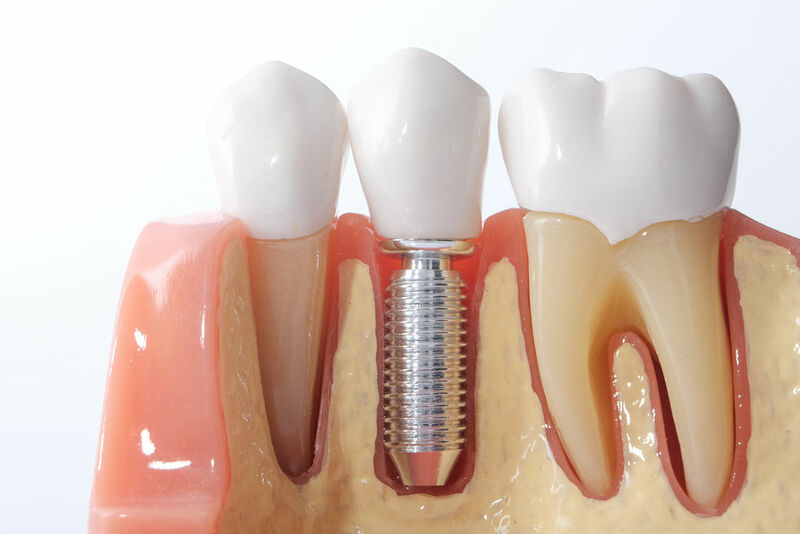 How long will it take to get dental implants? Depending on the tailored treatment plan, it may take a few months up to a year to be completed. There will be multiple appointments throughout the treatment process but patients are able to continue their daily lives as normal. Our team wants to ensure that the results are accurate and stable, providing the patienet with a smile for life. Get back your smile today and contact the team at Capalaba Park Dental for a consultation.